You’ve probably heard the top zero-waste tips like use reusable food containers, dry your hands with washable towels, and turn off the tap between uses. Maybe you’ve already adopted these simple tips and are searching for other ways to decrease your carbon footprint and become more environmentally aware. Today is a great day to begin making small lifestyle changes, like incorporating more zero-waste products into your life and switching to eco friendly beauty products. Reduce your waste, go green for good, and live a sustainable life that ensures we leave something behind for future generations. Switch to an eco-conscious coffee subscription box, upcycled or gently used women’s clothing, and add a bit of life and greenery to your home. 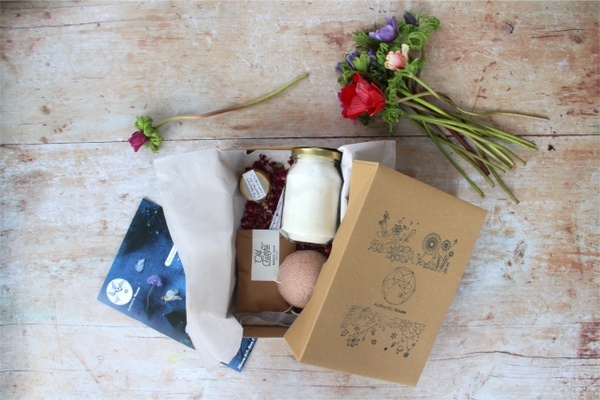 Let us show you how these eco-friendly subscription boxes can transform you and your family’s daily interaction with our fragile environment. What's Included: Now is the moment to become a conscious consumer and the quarterly Earthlove subscription can help you reach that goal. Each box helps cultivate a more sustainable, earth-friendly lifestyle by delivering 6-8 full-size eco-conscious products, guaranteed to be all-natural, organic, zero-waste and cruelty-free. And, a portion of the proceeds is given to a featured environmental non-profit helping to protect and conserve Earth’s fragile ecosystems. What's Included: The greenUP Box is on a mission to reduce unnecessary waste. One of many great zero waste subscription boxes, it focuses on a different area of life each month. Delivering 4-6 eco-friendly products that help reduce dependence on plastics every month, it provides useful alternatives to single-use items like straws, cutlery and sponges. This box really makes it easy to join team #zerowaste! What's Included: Give yourself some time to quiet the mind and find sanctity in the garden with each monthly Urban Organic Gardener’s box. Carefully curated to deliver 5 heirloom seed packs and handpicked garden supplies, from potted patio gardens to raised yard beds, the seeds are guaranteed to be seasonal and ready-to-plant. Now is a great time to practice your green thumb and eat what you grow. What's Included: Start those seedlings so they can get in the ground and optimize your garden yields with the goodies packed inside Seed Plant Bloom. Delivering organic, non-GMO, and heirloom plants and seeds, gardening accessories and useful information about how to use organic gardening strategies for a successful garden, it’s a great box for both beginners and experienced gardeners. What's Included: A great subscription for eco-friendly clothing is A Curated Thrift. Handpicked by the founder of Fashion Rewrite, it’s a personalized monthly thrifted fashion subscription. Select from 2 subscription levels, My Thrift Box for 2 gently-used pieces of stylish thrifted clothing, or My Vintage Box for 1 cool vintage item. You’re sure to find the perfect fit and style for you. 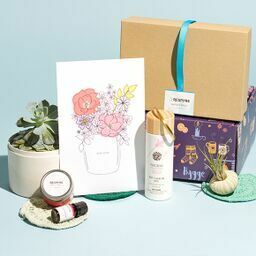 What's Included: Support women-owned small businesses with The Local Delivery, a monthly subscription featuring 4-6 hand-selected full-size goodies, like high-quality artisan bath and beauty products, treats, green living items and more. An interesting assortment in every box, it’s all bundled inside a unique one-of-a-kind hand-stamped reusable cotton bag. What's Included: Make your day (or month) when you join in on the Merkaela quarterly subscription box. Open and release the scent of relaxation with 4-6 curated items that focus on delivering good health and personal wellbeing, including handmade soaps, body butter, loose-leaf teas and more. The Merkaela is also available in an eco-friendly vegan option. What's Included: Personal growth and self discovery can go a long way in combating stress and anxiety. Jump-start the journey with Simply Happy Kindred. 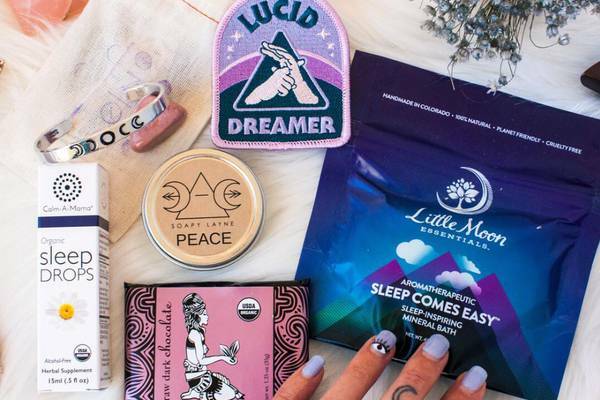 Specifically curated to offer assistance along the path towards having a better understanding of yourself, each monthly box delivers artisanal organic products like calming candles, journals, jewelry and treats. Geared towards women, each themed box comes with guides to help cultivate self-care practices. What's Included: Make your voice heard and get out there and advocate for change with Power Post, a unique subscription box that focuses on activism. Each month unpack all the supplies for a postcard campaign that focuses on a specific environmental issue, including addresses, talking points and some bonus extras to help you reduce your own carbon footprint. It’s time to focus on experiences, rather than stuff, and this box can help you do that. 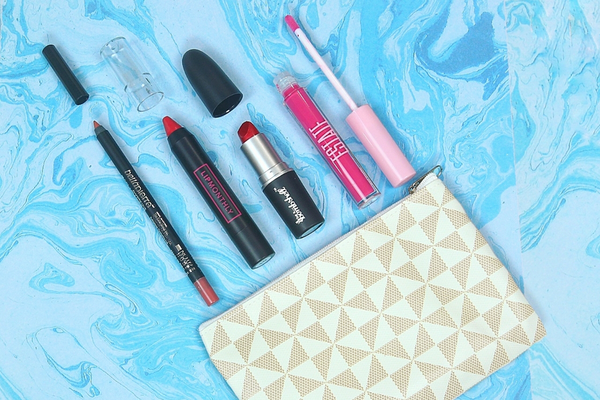 What's Included: The Life’s a Wave Box is inspired by all things ocean, so when you’re in need of those beachy vibes, this monthly subscription deliversit. Great for all beach and sea lovers, each box is packed with 5-8 sea-themed items, all handpicked to bring relaxation and rejuvenation your way. To ensure a bright future for the world’s beaches, proceeds from each box go to support clean and healthy oceans. Looking for more ways to live a zero waste lifestyle? We’re full of ideas!